Marvel is *finally* releasing an official MCU timeline... because everyone has lost track by now, right? 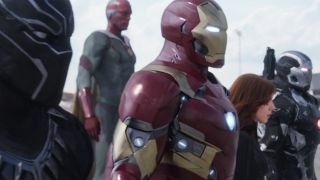 Forget The Legend of Zelda, Marvel’s MCU timeline presents a cacophony of continuity confusion and general head-scratching among finicky fanboys and casual calendar-browsers alike. Have no fear, though. It’s all about to be cleared up. Marvel is releasing an official timeline, so you can find out whether Spider-Man: Homecoming is *really* set in 2020, as well as a million other questions that need answering. Speaking to Screen Rant, Marvel head honcho Kevin Feige has revealed that the debate surrounding the need for an ‘official’ timeline has taken him aback somewhat. Hidden somewhere in Marvel HQ there’s a giant scroll detailing every MCU event, but the public haven’t been privy to such precious information – until now. “We are going to be publishing… an official timeline,” Feige confirms. That’s not all: it’ll even come in a “fold out” format so it’s more than likely you can hang it on the wall and then cry when you realise it’s almost immediately going to be out of date once the next Marvel movie hits. If all else fails, you can always staple on the next twenty years of Marvel flicks. Just don’t tell your landlord. I’m not really a firm subscriber to the need for official timelines, but it would be nice to know what goes where. Guardians of the Galaxy 2, for example, could be happening at any time after the first movie’s 2014 date,, especially as one destructive scene takes place on Earth without an Avenger in sight. Are they all dealing with the aftermath of Captain America: The Winter Soldier? Who knows? It was a little odd to see and it’s going to be pretty cool to see it all laid bare.